It was the first beautiful spring day yesterday. The kind of day that lures you out into the sunshine for a long bike ride. There are plenty of bike paths through lush green parks near our apartment, and my ride transported me back to college when I took a summer class about Sicily. 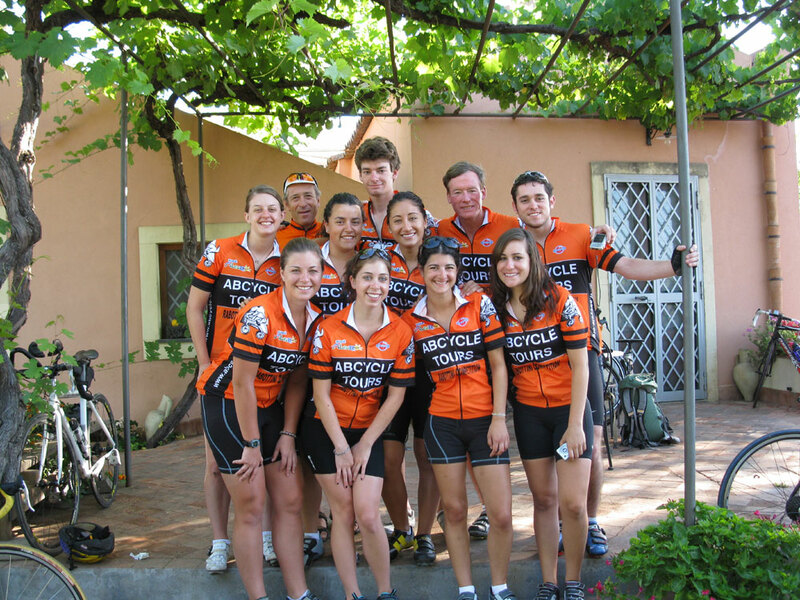 Nine students and our professor flew to Sicily for two weeks, where we took a bike tour, riding 50 miles a day down and up the coast with the help of three guides. Even now, I’m surprised I had the confidence to take this class, but it taught me that sometimes you have to ignore your fears and just go for it. Content marketing, like an intense foreign bike tour, can be intimidating when you first set out. The bloggers of the world all seem to know some magic formula you haven’t learned yet. Podcast stars were clearly born telling the right stories to the right audience. And you, you haven’t a clue where to begin. I almost chickened out. My goal has always been to travel to as many places as possible, but the bike tour wasn’t going to be easy. The funny thing though is that I did fall and it didn’t matter. Sure, I now have a scar on my elbow, but it reminds me of the time I was gliding down a hill and train tracks popped up out of nowhere. Sometimes you can’t see what’s up ahead and you fall, you fail, but the only thing that matters is that you get up again. You get up and you ride on and you know better next time. We traversed through crowded city streets, but mostly we climbed steep hills, like burning thighs, out of your seat, steady pumping, huff, huff, huff, kind of hills. It was a slow and steady crawl, just like your first few attempts at content marketing, but the most important thing is that you do it, because there at the top of every hill, up above the rest of the world, completely alone, I never felt lighter, freer, more myself, as if the whole world was nothing more than warm wind cooling down to embrace me and the momentum of my own strength taking me farther than I’ve ever been before, ready to hurtle full speed into the uncertainty that is life. I was nothing more than boundless motion. A ride for hitchhiking ladybugs and unidentified dreams. Sometimes you just have to take the plunge. Ignore your doubts and fears and just get started. Jump in and begin by creating a strategy. Ask yourself what are your goals, do your research, create your brand story, and then determine your objectives. And, in the meantime just write. All that hard work will get you to a place where everything was totally worth it, all that research and practice will help you get better over time. On the first day of our trip, I didn’t think I’d be able to cycle another minute, but by the end, I felt as if I could ride on forever.